Thomas Menino dies: Boston mayor was 71. 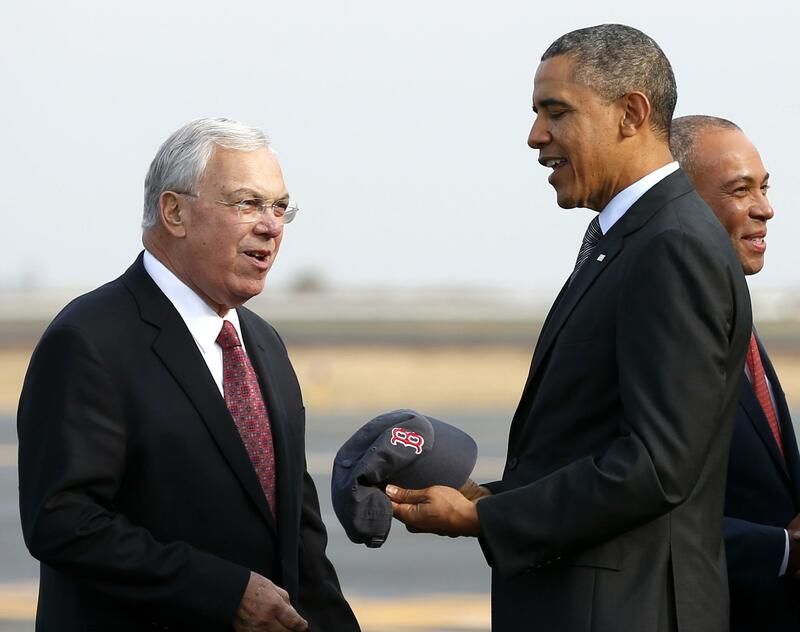 Menino welcomes President Obama to Boston during last year’s World Series. Former Boston Mayor Thomas Menino, an old-fashioned machine politician who became the city’s longest-tenured mayor ever—serving from 1993 until last year and never winning election by less than 15 percent of the vote—died today of cancer. He was 71. Perhaps his most significant stand on a national issue came in the the 1990s, when Menino—the city’s first mayor of Italian ancestry—marched in Boston’s gay pride parade but not South Boston’s St. Patrick’s Day parade, which excluded LGBT groups. More than half of the Bostonians who responded to a 2008 Globe poll said they had met him personally. The city’s population is more than 600,000.